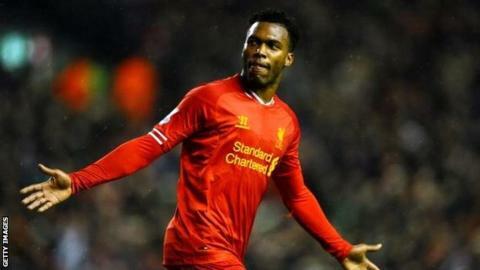 Liverpool striker Daniel Sturridge will spend Christmas in Boston in a bid to speed up his return from injury. The 25-year-old has already spent time in Los Angeles working on his thigh injury and will now link up with medical specialists at baseball team Boston Red Sox. He has played only three league games this season and is not expected to return to action for several weeks yet. Liverpool owner John W Henry is also the owner of the Red Sox. England striker Sturridge suffered his most recent thigh injury in training in November, having just returned to full training after thigh and calf injuries. Sturridge, who scored 25 goals in all competitions last season, is being accompanied by Liverpool's head of conditioning Glen Driscoll for the second phase of his recovery process. Liverpool believe the Red Sox have specialists who could help put an end to his persistent injury problems. Reds boss Brendan Rodgers criticised England's handling of Sturridge after he sustained his initial thigh strain while on England duty back in September. Rodgers has also said the club need to look at ways of "getting Sturridge on the pitch consistently". Last season's runners-up have scored just 19 goals in 16 Premier League games this season and, ahead of Wednesday's League Cup quarter-final at Bournemouth, are languishing in 11th.